It is widely recognised that stigmatised, marginalised and socially excluded groups, such as PWID, face barriers accessing healthcare services. Understanding these barriers can determine the responses needed to overcome them and increase access to hepatitis B and hepatitis C testing. Stigmatisation, marginalisation, cultural and social isolation, negative impact on employment prospects, positive diagnosis and judgement from healthcare workers are some of the main barriers to testing. Effective testing and treatment of both hepatitis B and C requires a high level of interpersonal and communication skills on the part of the healthcare worker. For example, healthcare workers should be able to effectively and respectfully engage service users in conversations about sexual behaviours and injecting drug use, in a way that is individualised, sensitive to cultural diversity and needs. The fear for many people – of being diagnosed with hepatitis – and the implications for their future health and for the health of others cannot be underestimated. Effective, considered and respectful engagement may be the the firts essential step to effective managemnet. Hepatitis B or C testing should always be voluntary, confidential and done with informed consent. Testing should be accompanied with a discussion about the test, its benefits, and the implications for both positive and negative test results. Although a small number of people may not need it, for most, pre- and post- test discussion provides a necessary opportunity to provide clear and up-to-date information about hepatitis B and hepatitis C.
Ideally, the same person should provide both pre- and post test discussion as this helps to build trust and rapport. Individualised to the person’s needs, pre and post-test discussions ensures the individual receives appropriate support, before, while waiting and when receiving their result. Has the offer been accompanied by an agreed mechanism for providing the result? Has the offer been phrased in a way that suits the person‘s age, culture and literacy level and is respectful and non-judgmental and avoids stigmatisation and blaming language? 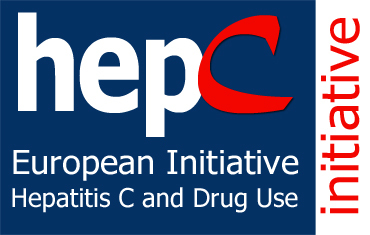 Is the person aware of the legal requirements for notifying hepatitis B and hepatitis C? Has the offer included information to enable people to make informed choices about their care should they test positive? Has the offer included guidance and practical harm reduction support to reduce their risk of hepatitis B and C infection including access to NSP and OST? Set up local screening, referral and treatment facilities for the general population, and especially for high-risk groups. Ensure early identification of chronically infected pregnant women. Implement routine testing for blood donors, with referral to a specialist for those testing positive. Provide free-of-charge, anonymous testing for all. Deliver targeted, low-barrier testing activities for high-risk groups.